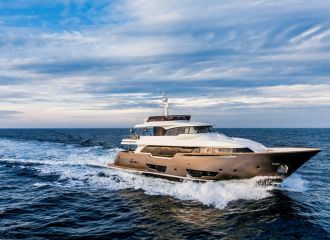 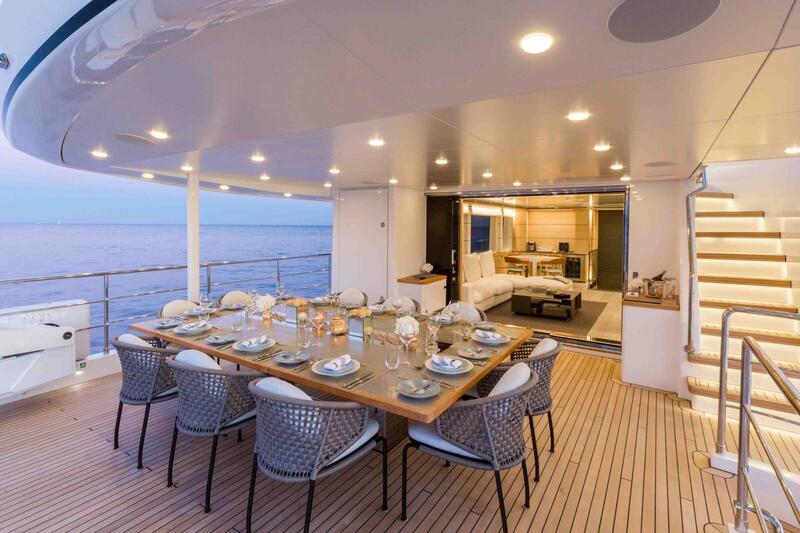 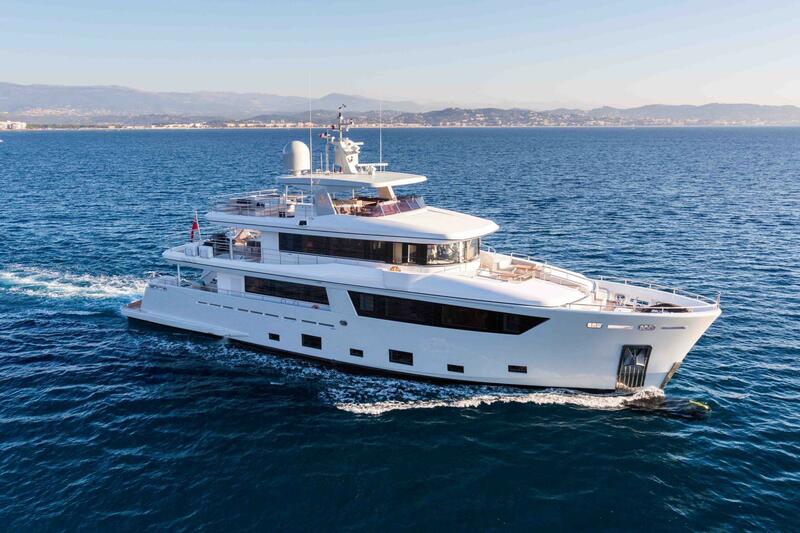 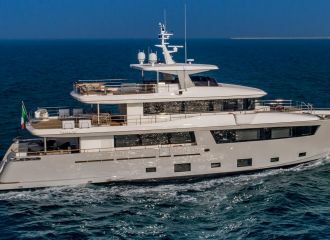 This 33m expedition yacht by Cantiere delle Marche balances volume and stability with sophistication and elegance. 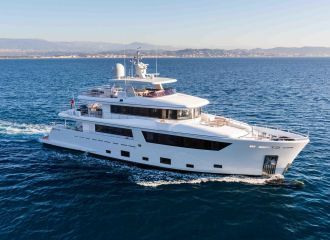 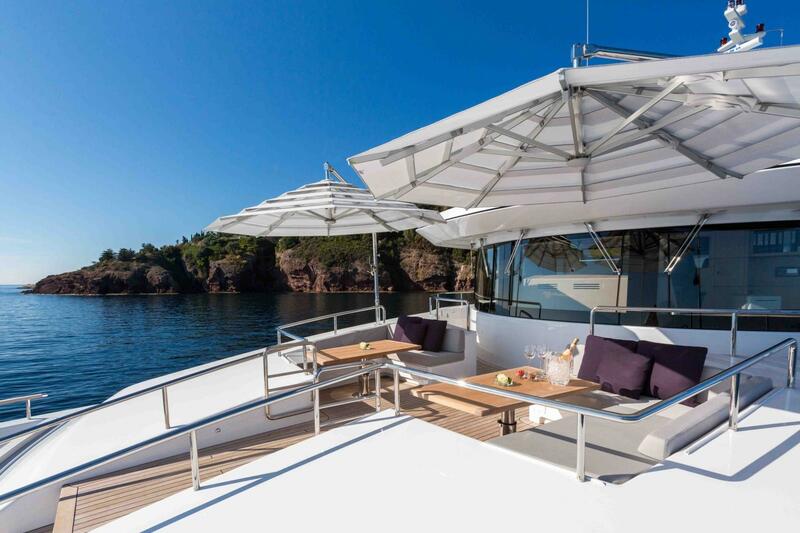 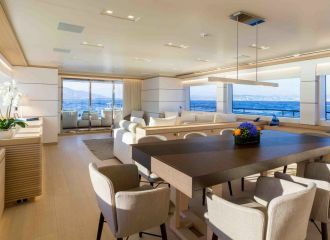 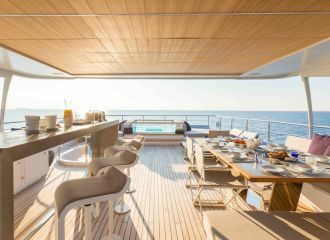 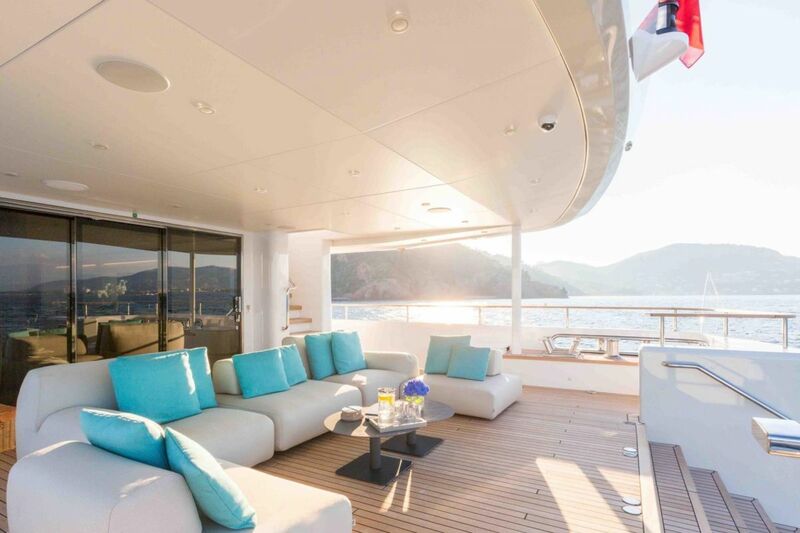 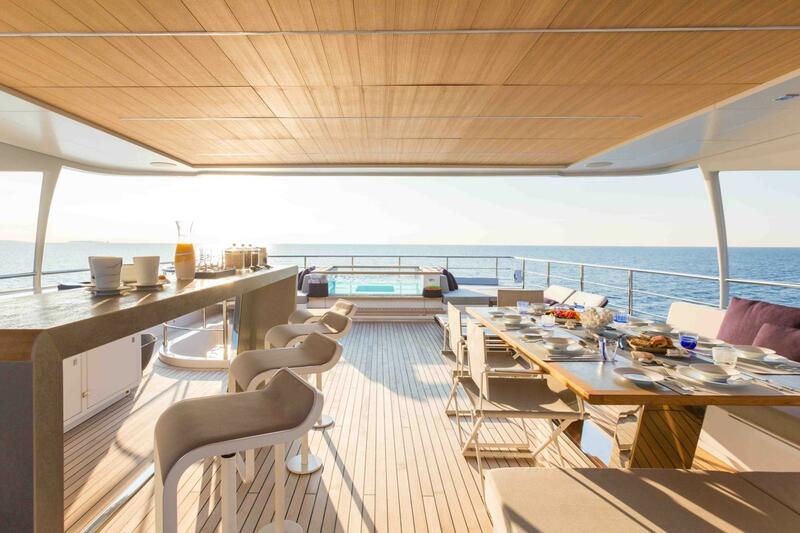 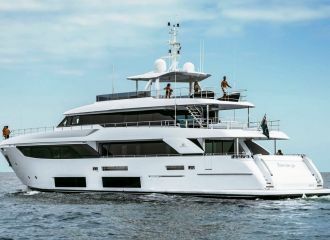 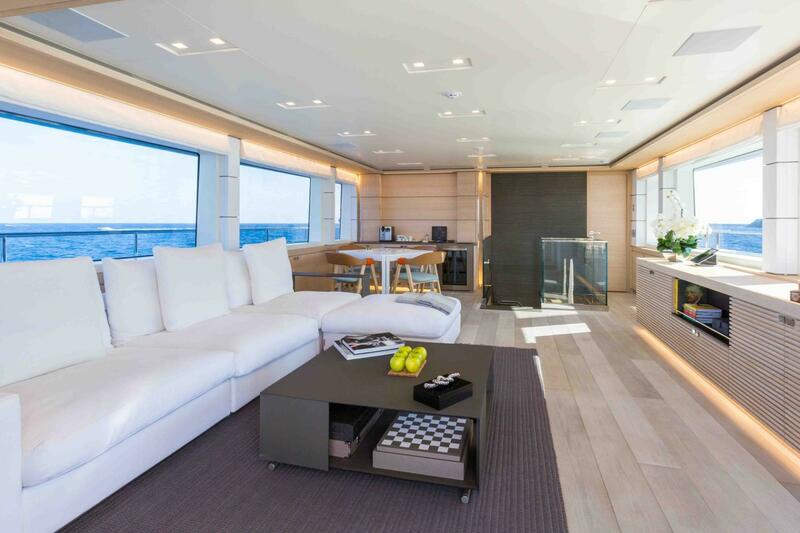 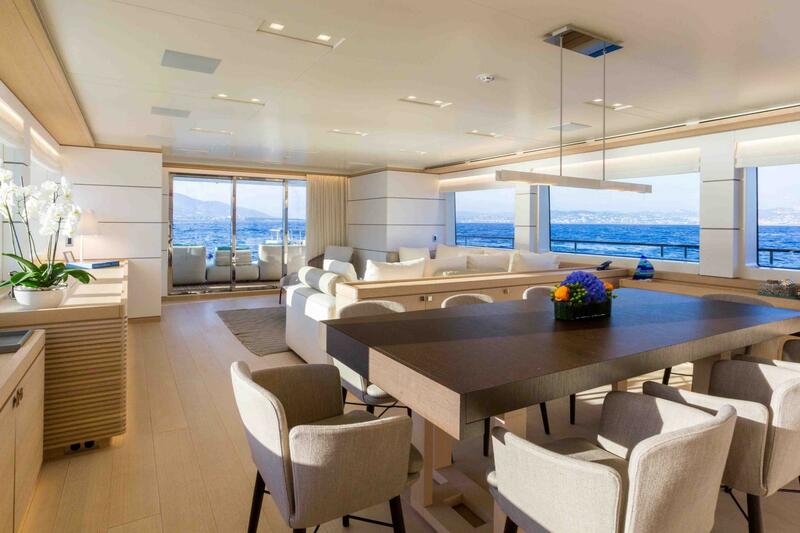 The guests’ entertainment areas are particularly comfortable and include a spacious skylounge, a large aft deck with steps down to a swim platform, a sundeck complete with bar, jacuzzi, sunbathing and dining areas. 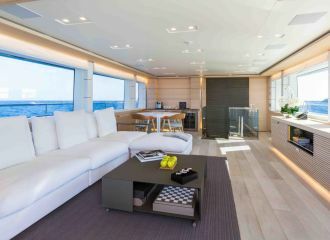 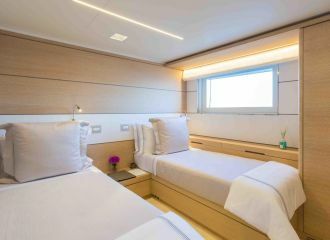 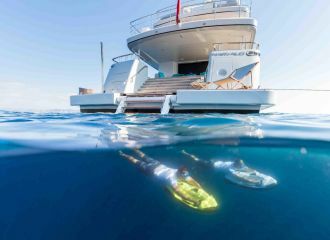 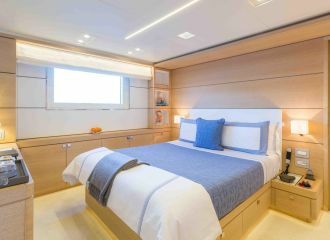 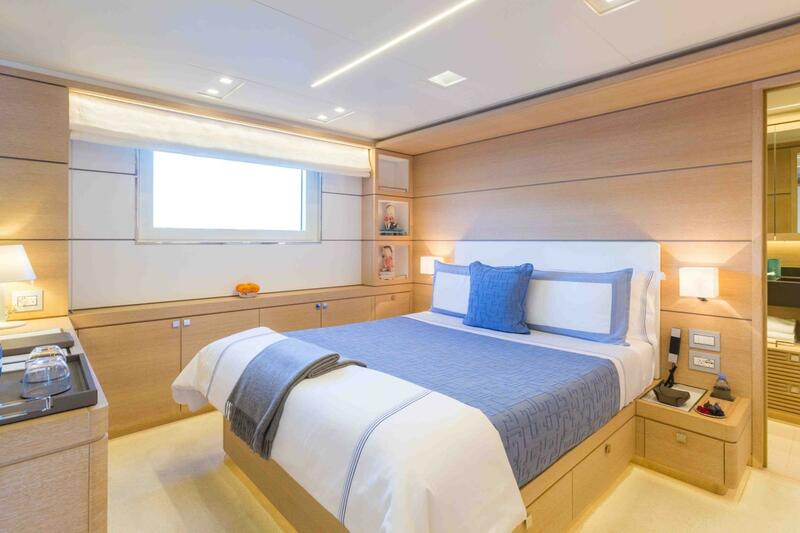 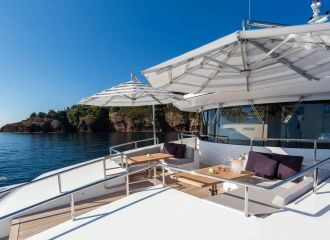 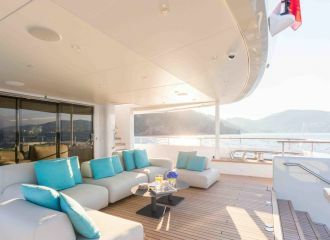 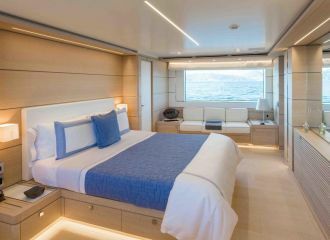 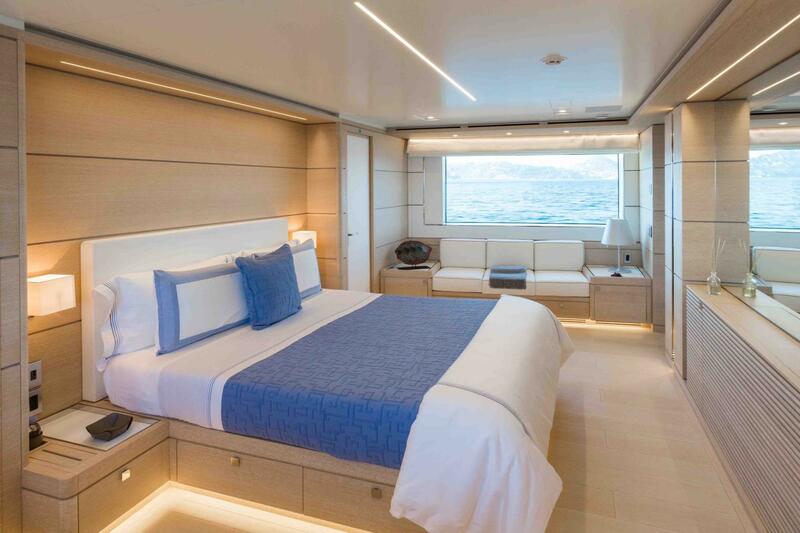 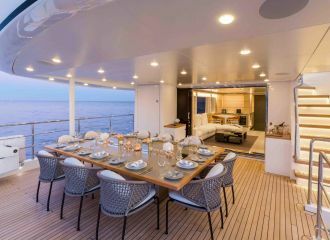 The yacht offers flexible accommodation for up to 10 guests in 5 cabins: 3 double and 2 convertible which can be set up either as double or as twin. Each convertible cabin has an additional Pullman berth for an extra guest. 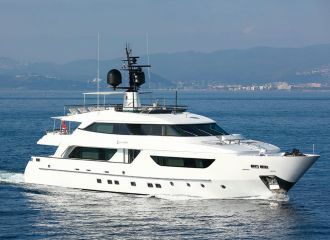 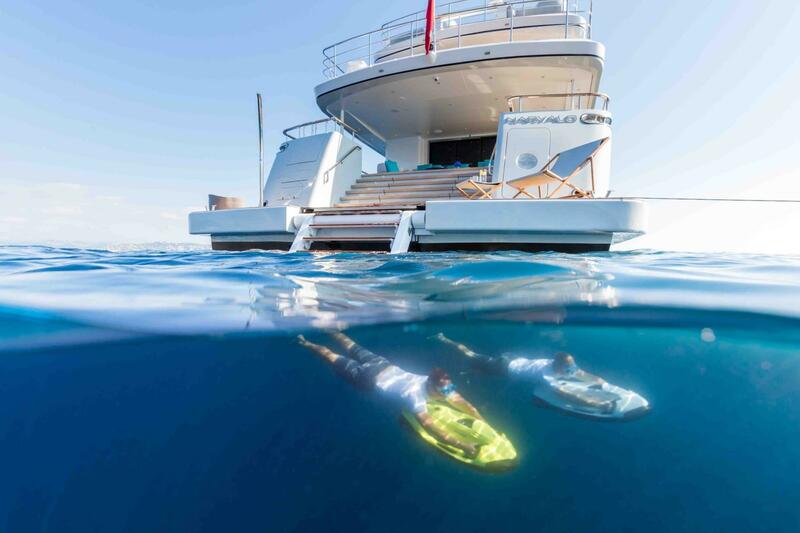 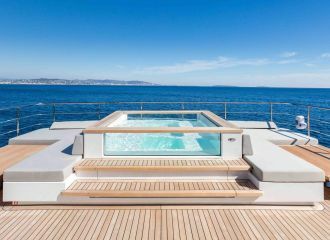 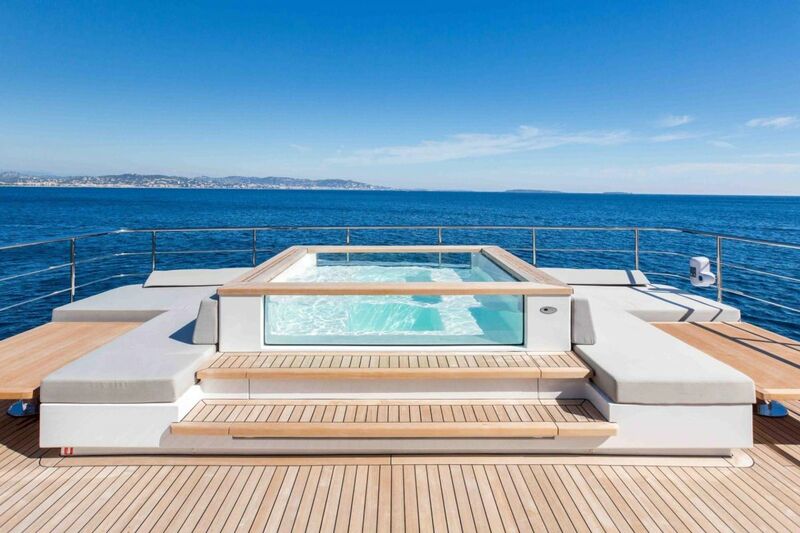 Highly recommended for a family French Riviera yacht rental. 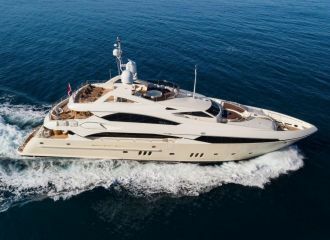 total 22500	€ Excluding VAT and APA ?